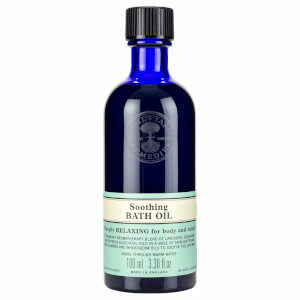 Discover the aromatherapy benefits of the Neal's Yard Remedies Aromatic Foaming Bath; a soothing treat for the skin and senses. 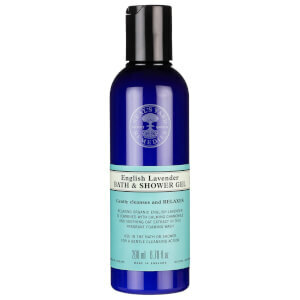 Infused with Lavender, Geranium and Spanish Marjoram Essential Oils, the luxurious bath foam helps to you relax and unwind for enhanced well-being. Delivers skin nourishing and conditioning properties to leave the body feeling soft, comfortable and rejuvenated from top to toe. 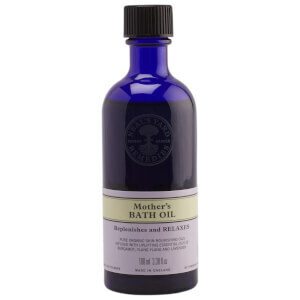 Simply pour under running bath water and enjoy a restorative soak. Pour liberally under warm running taps and swirl to disperse. Sink in, inhale the therapeutic aromatherapy blend, and relax. Aqua/Water, Lauryl Glucoside, Cocamidopropyl Betaine, Sodium Chloride, Lavandula Angustifolia (Lavender) Flower Extract*, Pelargonium Graveolens Flower Oil*, Alcohol Denat., Lavandula Angustifolia (Lavender) Oil*, Thymus Mastichina Flower Oil*, Linalool, Citronellol, Geraniol, Limonene.